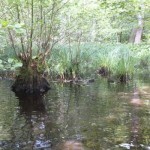 Environmental and socioeconomic impacts of mosquito control: the European perspective! 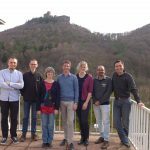 In this post, Stefanie Allgeier and Carsten Brühl report about their recently organized workshop on impacts of mosquito control using Bacillus thuringiensis israelensis (Bti), which was part of our project “Establishment of a nature conservation-compatible concept for mosquito control”, funded by the German Federal Foundation for the Environment (DBU). This entry was posted in Workshop/Meeting/Summer School and tagged Bti, conservation, control, effects, EU, mosquito on June 1, 2018 by Ve. Bsssssss…..You think mosquitos are annoying? Come join the team “Community Ecology & Ecotoxicology” to investigate environmentally friendly mosquito control strategies in the scope of a Research Project Course (RPC). This entry was posted in Thesis/Job opportunities and tagged control, mosquito, RPC, taxonomy, traps, Upper Rhine Valley, vector on November 28, 2017 by Ve. 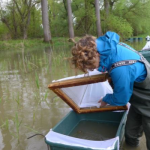 In this post, the team “Community Ecology and Ecotoxicology” offers a master thesis on the influence of Bti mosquito control on the dynamics of juvenile fish in the Rhine river. This entry was posted in Masters program, Research, Uncategorized and tagged Bti, mosquito on January 10, 2017 by JPZ. This entry was posted in Thesis/Job opportunities and tagged amphibian, Bti, MOSCOFEE, mosquito, pesticide on October 12, 2015 by JPZ. This entry was posted in Research and tagged Allgeier, amphibian, Brühl, Bti, Kästel, mesocosm, MOSCOFEE, mosquito on August 7, 2015 by JPZ.